In the previous blog post, the Cheyenne dentists at East Pershing Dental took a look at a few of the biggest dental care mistakes you can make. There are so many mistakes, we couldn’t fit them in one blog—so it’s time for Part 2 of the series. Let’s examine some more of the most common dental mistakes that can lead to cavities, gum disease, and poor oral health. You avoid regular dental checkups. Just because your car is working fine at the moment doesn’t mean you can skip routine maintenance and oil changes—that’ll only lead to costly problems down the road. Your oral health works the same way—you can’t just skip routine dental checkups because your teeth feel fine and you don’t have any pain in your mouth. The point of routine dental exams is to prevent costly and painful oral health problems from happening in the future—it’s the difference between a small filling for a cavity and a painfully expensive root canal. Wouldn’t you rather put in the time up front and avoid bigger problems in the future. Dental exams are inexpensive, virtually painless, and crucial for your oral health. Schedule an appointment today, and do your future self (and smile) a favor. You avoid dental care altogether. There are many reasons why people avoid the dentist’s office. For some, it’s a matter of being afraid of pain. For others, it’s because they’re afraid of a stranger poking around inside their mouth. For a select few, it’s because they’re afraid the dentist is going to tell them something that they’re not going to want to hear. Whatever the case, avoiding the dentist can come with some pretty serious consequences. If you’re afraid of the dentist, we get it—in fact, even a few of our staff members have dealt with dental anxiety to some extent, whether it’s as a kid or a fully grown adult. Unfortunately, skipping out on the dentist is much, much scarier—it can lead to expensive and painful dental procedures, the loss of teeth, and health problems that don’t just affect the teeth and the mouth. Your oral health is directly connected to your overall health—if something is wrong in your mouth, the rest of your body will suffer. You need to find a dentist who’s patient, comforting, and understanding so you can get the care that’s essential to your health without too much anxiety. Fortunately, that’s where East Pershing Dental can help. 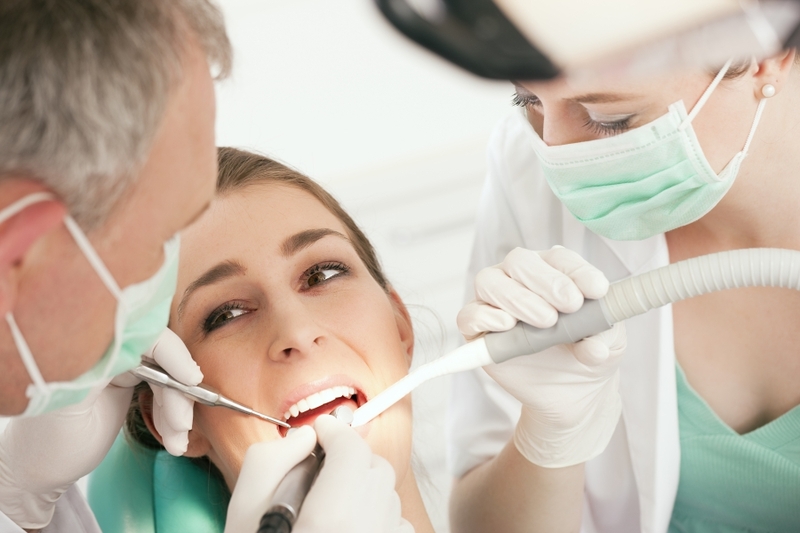 Our experienced and friendly dental professionals are always willing to lend an ear to what scares you about the dentist’s office, and make accommodations necessary so you feel comfortable throughout your dental experience. Plus, our skilled dentists will provide you with care of the highest quality so you know your smile and oral health will be in excellent shape for years to come. If you have any questions about the biggest dental mistakes, or want more information before you step into our office, give us a call. We’re happy to help you achieve a healthier smile as comfortably as possible!